Is Canada still attractive for private equity investment? Despite the uncertainties surrounding trade and tax fears, the strong Canadian economy is still able to attract more interest from US-based private equity investment firms. A report commissioned by law firm Bennet Jones and conducted by MergerMarket polled Canadian and US PE executives, as well as Canadian portfolio company executives. Based on the survey, investors view Canadian opportunities favourably – and intend to deploy greater resources to sourcing those opportunities. For Bennet Jones vice chair for clients and industries John Mercury, this is due to the perception of lower valuations and the close proximity to home. "Canada remains an attractive destination for US investors, notwithstanding certain challenges facing the Canadian economy. The total value of private equity deals continues to reach new heights," he said. "The time was ripe to look deeper into the area, to better understand the motivations driving investment decisions and to help identify opportunities for our clients." According to the poll, the top sectors for investment in Canada are consumer goods (24%), industrials and chemicals (22%), oil and gas (14%) and technology (14%). Further, respondents said there are opportunities for one to be a patient and diligent investor despite concerns over trade and the ability of Canadian firms to remain competitive amid US tax reforms. In fact, 68% said Canada's economic expansion would be the top factor attracting PE investors to the country and 60% said the smaller number of potential buyers and lower valuations compared to the United States make the Canadian market appealing. 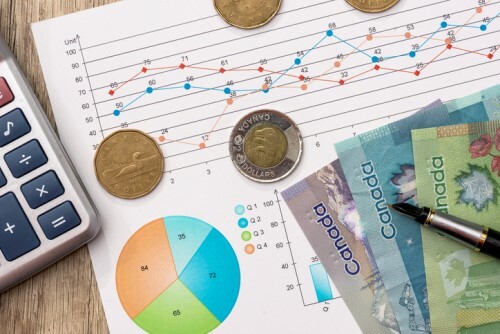 Forty-two percent said the ability to use "waterfall" economics or flow-through structures was the most important factor when structuring a deal in Canada.